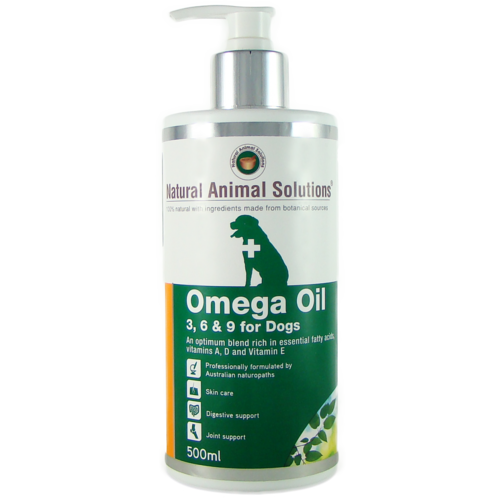 Why is Natural Animal Solutions Omega Oil Different? 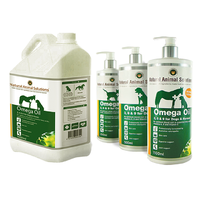 Natural Animal Solutions® Omega 3, 6 & 9 Oils for dogs, cats and horses are no ordinary Omega products. 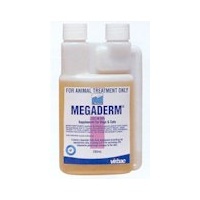 Our formulations have been rigorously studied to ensure that the correct ratio of Omega 6 to Omega 3 is provided for our pet’s lifestyle, whilst incorporating the finest ingredients. 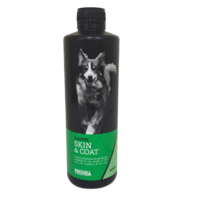 This rich formulation is a core component of our Natural Animal Solutions® Skin Pack and has been used effectively from within our clinics for many years. 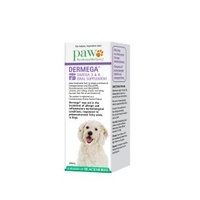 The Natural Animal Solutions® Omega 3, 6 & 9 Oil range provides unparalleled value for quality and is produced in multiple sizes allowing convenient use for everybody. Our brand new design now includes a handy non drip pump so your Omega 3, 6 & 9 supplement can be added to food easily without mess. 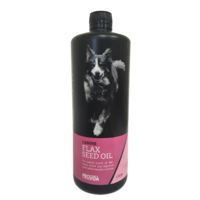 Many of our competitors sell flax oil for pets. Unfortunately, to get a therapeutic dose of Omega 3 you would require enormous dosages, even more than is recommended on their bottles. 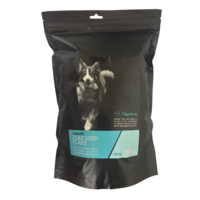 Cats find it difficult to absorb the essential nutrients of Omega 3 from flax, so we blend our human grade flax with high quantities of cod liver oil. 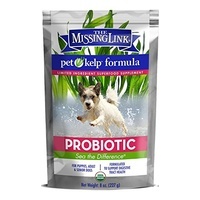 Cod liver oil is many times more absorptive than flax and most importantly is more tasty for cats. 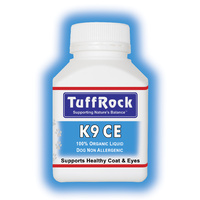 We also add human grade olive and sunflower oil to give your pets their dose of Omega 6 and 9. Unlike most oil blends, olive and sunflower oil isn't the base of our formulation, it only accounts for 25%. 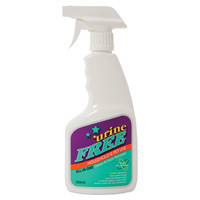 Most of our competitors will use sunflower, soya bean or canola oil as a base to keep costs down as Cod liver oil is costly. 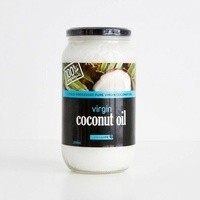 Products high in Omega 6 are pro-inflammatory and can worsen skin and joint diseases. 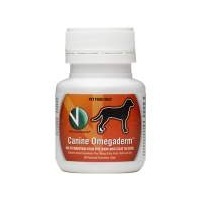 Many pet foods and supplements contain primarily Omega 6 and 9 fatty acids from vegetable oils resulting in a highly unbalanced ratio of Omega 6's to Omega 3's. 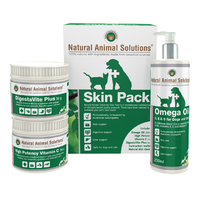 Natural Animal Solutions has the correct ratio of 3 to 6 oils. High in Omega 3! and most importantly at the right price! !